Is there a better alternative to OpenLink Lite ODBC Driver for SQL Server TDS? Is OpenLink Lite ODBC Driver for SQL Server TDS really the best app in Other category? Will OpenLink Lite ODBC Driver for SQL Server TDS work good on macOS 10.13.4? 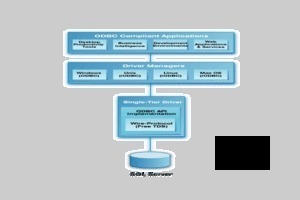 OpenLink Lite ODBC Driver for SQL Server (TDS) provides transparent access to remote databases from any ODBC-compliant application. Desktop Productivity Tools (i.e., Spreadsheets, Word Processors, Presentation Packages, Desktop Databases, Personal Organizers, etc. ), Client-Server Application Development Environments, Web-based Database Publishing Tools, and Computer Telephony Integration packages, are just a few of the many products that can take advantage of our standards compliance. OpenLink Lite ODBC Driver for SQL Server TDS needs a review. Be the first to review this app and get the discussion started! OpenLink Lite ODBC Driver for SQL Server TDS needs a rating. Be the first to rate this app and get the discussion started!